The Carnegie Park Orphanage, also known as the Moffat Orphanages, was built in 1887-8 on a two-acre site at Glasgow Road, Port Glasgow. It was established following a bequest from local benefactor Thomas Moffat, a grocer and wine merchant, who died in 1884. The town's Moffat Library was also founded as a result of his will. The orphanage had separate sections for boys and girls, each housing thirty children, placed either side of a central block containg the communal hall/dining-room. The building was designed by William Gilmour Wilson and James Brown Stewart, with the cost of its construction and fitting out totalling around £6,000. It opened its doors on January 19th, 1889. The orphanage was intended to receive poor children from the area whose parents were not receiving poor relief from the parish. Only Protestant children were admitted. 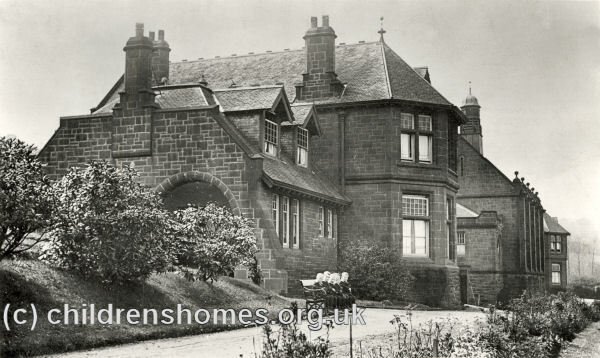 The orphanage had closed by 1962 when the Langlands Park Approved School for Girls was opened at the site. The School continued in operation until the 1980s. The buildings no longer survive.